In those traditions, why do parents often baptize their children at very young age, and why is this better than giving their children the opportunity to choose for themselves? At least the Roman Catholic and Presbyterian churches do. A fairly comprehensive list is available on the wikipedia article. As to the why, at least from the Presbyterian perspective, children of saints are viewed as being born into a covenantal relationship in similar vein to the males of ancient Israel being required to be circumcised. Fuller paedobaptist theology is also covered on the wikipedia page. The Wikipedia article on the subject is very thorough. Most Christians practise infant baptism. Denominations that practise infant baptism include the Roman Catholic Church, the Eastern Orthodox Church, Oriental Orthodoxy, Armenian Apostolic Church, Assyrian Church of the East, the Anglican churches, Lutherans, Presbyterians, Methodists, some Church of the Nazarene, the Reformed Church in America, the United Church of Canada, the United Church of Christ (UCC), and the Continental Reformed. From the Book of Acts: "Peter replied, "Repent and be baptised, every one of you, in the name of Jesus Christ for the forgiveness of your sins. And you will receive the gift of the Holy Spirit. The promise is for you and your children and for all who are far off–for all whom the Lord our God will call." (Acts 2:38-39, NIV)"
Children are no less members of the church than adults, and should be welcomed into full membership. Again, Wikipedia is helpful here. It should be noted that many traditions that practice infant baptism have a secondary initiation, such as Confirmation, in which the person does get to "choose for themselves". In the Methodist tradition, baptism of infants is a holy sacrament, welcoming the child into the church family and into God's grace. It also involves a covenant by the parents and the congregation to teach and guide the child, to raise the child within a faith community, and to help lead the child to make a faith profession and become a disciple of Christ. They don't "choose for themselves" because our sinful human nature does not give us the ability to make such a choice. We can only make that choice through the grace of God. The baptismal covenant is one way God imparts that grace to us. The practice of baptizing one's children goes back to New Testament times (Acts 16:15, Acts 16:33). And baptism is analogous to circumcision (Colossians 2:11-13), which was practiced on infants as far back as Abraham's son Isaac. If someone is older, and has not been baptized, and wishes to join the church, they can be baptized at that time. In fact, they must be baptized before making a profession of faith in front of the church, again to indicate that it is God's grace and not our own righteousness that enables us to make that profession. It's critical to answer questions about baptism in the best biblical and theological ways possible. But it's also important to take account of the pastoral aspects. When we discuss who should or should not receive baptism we are talking about real individual people in all their messy glory. I think that at least partly the decisions made by various church streams reflect that aspect of the issue. I'd like to begin by referring to the often quoted command by Peter in Acts 2:38-39. This is sometimes mentioned because of the reference to "you and your children", and indeed all Christians need to consider and interpret that phrase. But although I come from a Presbyterian background and am comfortable with infant baptism, I don't think the reference to children here is reliable. This is because the meaning of the phrase is open ended. It could mean (1) children when they are children; (2) children at any point in their life; (3) descendants in general. Peter seems to be saying that the promise is for all generations and all people. Precisely how is not specified. Baptism of children is consistent with this text, but not required by it. So why am I quoting this verse? Because there's another factor here that is not so often included. In Acts this answer from Peter functions not just as an answer for this one occasion, but also as a template for what it means to become a Christian (to use an anachronistic term). He's telling us what Christian origins look like. They involve three elements: repentance, baptism and the gift of the Spirit. Throughout Acts, the various stories of people becoming Christians will consistently include some or all of these three elements. Now who does what? The first, and surely the most important, is the gift of the Spirit. This is what God does. And without that spiritual beginning, nothing else matters. The second is repentance. This is an act of the individual believer. And on this point the baptist tradition is absolutely correct. Ultimately there can be no Christian beginning without a real personal response to what God has done in Christ. The third element is baptism. Who does this? In much of the discussion it's assumed that the individual does this, and of course the individual is involved in the process. But who is actually doing the baptism? The answer is, the church. Note that from the believer's perspective the event is passive. All the baptism stories in the New Testament have the new Christian being baptised. They are all recipients. No one baptises themselves. If this is right, we have a picture of Christian origins being the sum of what God does, what the individual does, and what the church does. In which case the real question we need to ask here is not which people should rightly be baptised, but which people should the church rightly baptise? And suppose we answered that question something like this: The church should baptise all those whom it considers (as far as it can wisely make such an assessment) to belong to the body of Christ. Let's take the particular example of a family where the husband, the wife and the young child all participate regularly and fully in the life and worship of the church. My question is not, does the child know enough to be baptised? My question is, does the church know enough to declare that the adults belong but the child doesn't? If I have correctly read Acts 2.38, there's also a question of timing. Which comes first? Baptism or repentance or the Spirit? I would suggest the stories throughout Acts show there is no one right answer to this. In Pentecost repentance came first (or at least it's the first element mentioned as the audience response; maybe repentance is impossible if the Spirit is not yet poured out.) But in Cornelius' story, the narrative describes how Spirit fell first (signified by tongues and worship), then baptism, with no sign of repentance in the narrative. So when we talk about children who are too young to know what faith and baptism mean, this may be exactly true - but it's just a point of timing. An adult may be baptised into a faith he has now. A child may be baptised into a faith he will grow to understand. Faith and baptism are both required courses of the Christian meal; I'm aware of nothing that defines which course must be eaten first. Not the answer you're looking for? 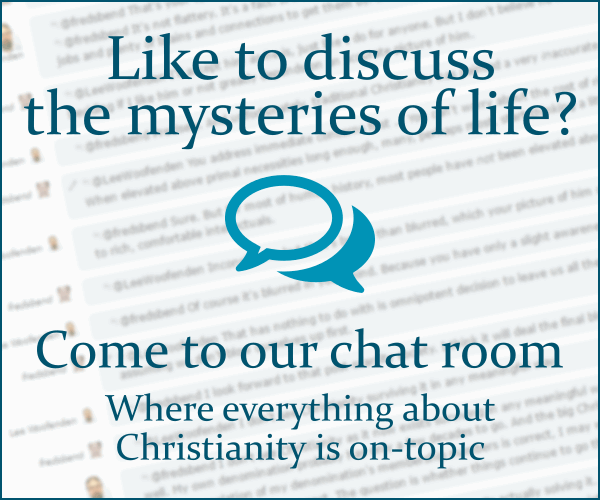 Browse other questions tagged baptism children or ask your own question.